This model is a large set with smart functionality and amazing picture quality that will enhance your viewing experience in a big way. A couple of years ago, large TVs like this one seemed extreme. However, with its real-world price and realistic picture, this 65-incher makes a sensible choice for those who are looking for an immersive viewing experience. In addition to extremely detailed picture, this huge-sized screen delivers extremely clear motion for games, movies, and especially sports. This is the big advantage of this TV’s embedded blur reduction technology that involves 120Hz refresh rate as well. Therefore, if you are a game lover, or simply addicted to watching movies and sports, you’ll definitely love this TV. A TV set with this large-sized screen should be at a distance of around 6 – 9 feet when viewing. 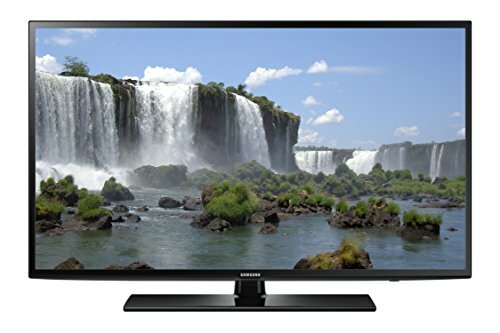 This means that it would be ideal to place the Samsung UN65H6203 in a large room, such as the living room, so you could be provided with an optimum watching distance. A big TV set isn’t a bad thing though; you need to consider the amazing cinematic experience you’ll get while watching your favorite movie or TV show with your friends and family crowding in front of this big screen. Samsung kept its minimalist and modern design with this TV as well. The bezel of this set screen is quite thin. Thin edges are really great new feature on newer TV models which helps a lot if you want to place this TV in places where there’s limited space. The only drawback to this TV’s design is probably its stand which is pretty basic looking. The picture on this TV is great with the bright backlight and 120Hz refresh rate. This refresh rate is really awesome as it ensures that you won’t lose any important and fun details in rapid scenery, for example, if you play games on your PC or console, or watch an intense sports match. Despite the increased speed of those scenes in the content that you love to watch, Samsung UN65H6203 is capable of delivering it to the screen, thanks to this increased refresh rate. You won’t run into any lagging, ghosting effects, or glitches if you decide to get this amazing TV set. Light flow-through is really good on this model from Samsung, especially with high definition content. This TV boasts a really neat feature regarding its sound quality, and it is called Smart Sound. It regulates sound output on the TV to a constant level, therefore negating those louder effects of ever annoying ads.